New photos and details about the Samsung Galaxy S4 have leaked on the eve of the launch of Samsung’s most hotly-anticipated smartphone. Despite achieving a high level of secrecy over the past few months, a number of last-minute leaks have offered an unprecedented preview of the design and specs of the Samsung Galaxy S4. Chinese-language site IT168 has published a number of high-resolution images that show every angle of the new smartphone. 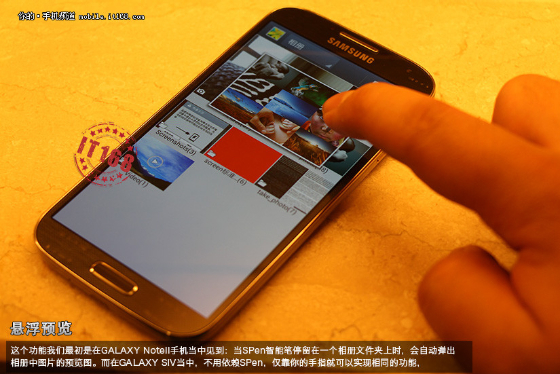 The descriptions accompanying the photos confirm that the Samsung Galaxy S4 will feature a 1.8GHz Exynos 5410 processor – the world’s first handset powered by an eight-core CPU. An entirely independent GPU, the 533Mhz PowerVR SGX will bring the graphics capabilities of the new Galaxy up to or above what Apple’s iPhone 5 is currently capable of. The Samsung Galaxy S4 comes equipped with 2GB of RAM and 16GB of storage which is expandable up to 64GB via microSD. The smartphone itself measures just 7.7mm thick and weighs 138g and features a 4.99-inch 1080p display and 13-megapixel camera. Design-wise, the Samsung Galaxy S4 does not depart far from the tried-and-true Galaxy-series form factor. The front of the device is said to feature a camera for eye-tracking which may also facilitate S-pen like features and gesture control – without the need for the pen. 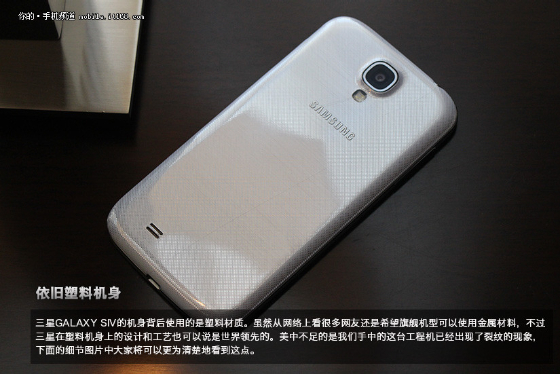 Images of the reverse of the Galaxy S4 reveal a high-sheen plastic/polycarbonate backing with a finely etched pattern. The sides of the phone appear to be made from brushed aluminium. The Samsung Galaxy S4 will be officially unveiled at a public launch event in Times Square, New York City today. What do you think of the new Samsung Galaxy S4 design? Will you be watching the launch event online? Let us know in the comments below.